After months of living and working all over the world, my team and I have finally reunited. It was a long time coming and this time our travel paths crossed in Belgrade, Serbia. It took us merely a couple of visits to fall in love with this beautiful city. Without a shadow of a doubt, it is now our favorite destination in the Balkans. We talk a lot about the importance of having a good Nomad Base to be able to take a break from living in a suitcase, have some routines, join a gym, be more productive and form new relationships. As we grow as a team and explore more, our travels list change and our criteria as well. But, I can tell you we find everything we needed in the place we the least expected- Belgrade. Belgrade may be one of the most underrated European capitals, which is very unfortunate. Due to the lack of promotion and advertisement, perhaps some up-and-coming entrepreneurs weren’t even considering it a possible destination. We were lucky enough to experience everything Belgrade has to offer first hand. Perhaps this is why it has us coming back for more every single time. The specific vibe, the ambient, as well as affordable cost of living is what made us stick around and plant our flag for a couple of months. 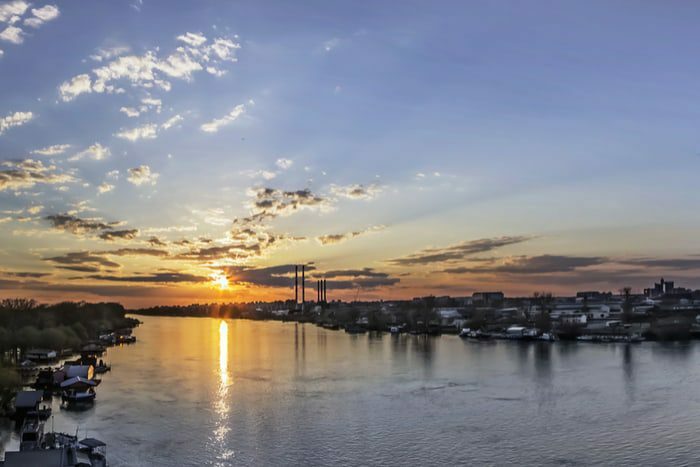 While exploring the city and absorbing its uniqueness, we’ve come to realize that Belgrade has it all. Simply put, it is a perfect blend of entertainment, culture, and great living conditions. No one can stay immune to its magic. Interested in visiting Belgrade, or spending a couple of months in the best nomads base in the Balkans region? I’ve decided to share my wonderful experience and make a comprehensive guide which would make life in Belgrade so much easier for the newcomers. The best thing about the weather in Belgrade is that you can get a little bit of everything, depending on when you decide to travel. You should know that Serbia has all four seasons with all their prominent characteristics. In case you decide to spend the summer here, just like my team and I did, you’re probably going to experience very high temperatures. Luckily, there are many ways to freshen up and enjoy the sun (which I will get to a little bit later). Therefore, if you want an extremely hot summer, Belgrade won’t disappoint. July and August happen to be the hottest months. This is precisely the timing those of you who do not appreciate high temperatures should avoid. Daytime temperatures in this period can reach up to 40˚C (104˚F)! I personally don’t mind it at all, but there are definitely people who would rather spend these hot months someplace else. I guess we could say that Belgrade is a city of extremes when it comes to weather conditions. While the summer is hot, the winter, on the other hand, is rather cold. You can expect low temperatures, a lot of snow, slow traffic, and quiet winter nights. However, there are many ways to interrupt the dullness of the cold weather and deal with it properly. Serbian nightlife seems to blossom during these two seasons, so worry not! Another important thing about the winter season is the decoration. You’ll find that the city truly embraces the Christmas and New Year’s Eve spirit. Every single corner of the city becomes more colorful and festive. Some of the customs definitely do differ from what we’ve seen in other countries. For instance, one of the most magical experiences during wintertime in Serbia has got to be the Christmas Eve. It is truly special to see large groups of people gathering around fire to chat, enjoy a glass of mulled wine, and appreciate each other’s company. 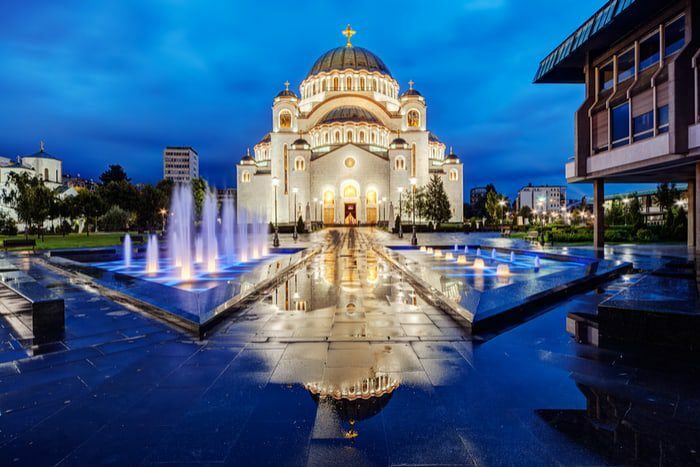 The best way to experience this special atmosphere in Belgrade is to spend the evening outside the St. Sava Temple. April and May are definitely my favorite two months to be in Belgrade. After what usually turns out to be yet another grueling winter, you can just see the change in people and streets. Everything comes to life, since the temperatures are pleasant. While most of September still tends to be hot, the end of September through November usually brings the much-needed rain. To sum it up, you can definitely use your personal preference as a guide to determine the time of your visit. Throughout the year, you can experience different weather conditions, so it all comes down to what you find the most appealing. Most countries do not need a visa for visiting Serbia up to 90 days. Before I get to the more exciting stuff, we need to go over a few formalities that may not be particularly interesting. However, in order to come to Belgrade and start truly enjoying everything the city has to offer, you have to get your visa. So, here come the rules. The visa requirements depend upon the time you intend on spending in Belgrade. You should know that visa is not required unless you’re planning on staying less than 90 days. This means that citizens of EU, USA, Australia, UK, as well as numerous other countries, do not have to worry about this requirement in case of a shorter visit. What is required of you, regardless of the duration of your stay, is to register at the nearest police station upon arrival (within the next 24 hours). On the other hand, if you check into a hotel, you can scratch the registration requirement off of your to-do list, since this means that the hotel has you covered and you’re automatically registered the moment you check in. What happens if you wish to stay longer? The rules do change, but the process still isn’t too challenging. For a temporary residence Type D visa you should file an application to the Secretariat of Internal Affairs. After doing so, you’ll have to wait up to three weeks to get the answer. However, it usually takes less than three weeks to get the application processed. Once the temporary residence permit has been issued, you are allowed to reside in Serbia up to one year. Once the permit expires, you may file for an extension (you’ll probably be able to extend it for another year). What makes you eligible for a temporary residence permit is the reason of your stay. You’ll be asked to provide an adequate answer to the question What brings you here? Your motive for staying in Belgrade will be justified if it concerns professional or educational activities (scientific research included). 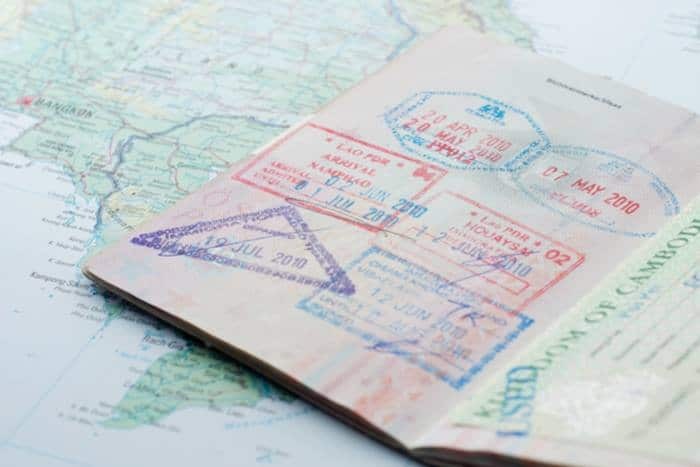 Once you get the temporary residence permit, is there anything else you should do? The main requirement is to notify the authorities of the change of your address if you happen to relocate during your stay. In the event that you’d like your temporary residence permit extended, you should file for an extension at least 30 days before the expiration date. Ready to settle in Serbia’s glorious capital? Let’s check out the accommodation options in Belgrade. Perhaps the simplest and the most enjoyable way to accommodate in Belgrade is to select one of its premium quality hotels. 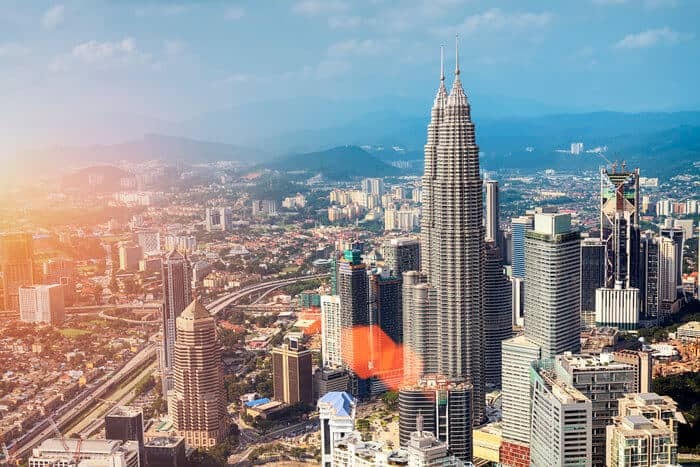 Not only will the check-in have you automatically registered and save you the trip to the local police station, there are many more advantages of this option. You’ll have the professionally trained English-speaking staff at your disposal at all times. They’ll provide you with the much-needed information, pamper you with great service, and make sure your needs are prioritized. Of course, there are hotels which are known for their uncompromised hospitality, and which are far beyond the competition. Metropol Palace, wonderful hotel with pleasant staff and our first choice in Belgrade. Copyright 2013 Matthew Shaw. 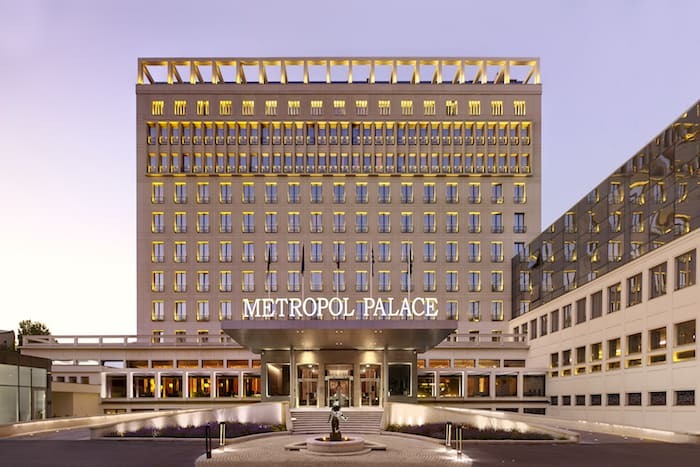 My first pick – Metropol Palace. Located near the famous Tasmajdan park, it is truly one of a kind. Luxurious and refined, while still keeping the edgy interior of the 60’s, it provides a unique experience for its visitors. Metropol is the number one choice of many visitors who wish to enjoy the ultimate comfort Belgrade can offer. Besides the exceptional food, you’ll get to enjoy the Limegrove Wellness and Spa center, which will be your source of relaxation and peace after a long day. The hotel also offers an indoor pool, as well as a hot tub. Finally, the staff is eager to help and cater to all your needs. Their English is perfect, so you don’t have to worry about a potential language barrier. The prices of the rooms vary from around $165 (140 euros) for a classic room, to around $1294 (1100 euros) for the presidential suite. Yet another 5-star hotel offering over-the-top service is Hyatt Regency Belgrade. Located in Novi Beograd, it is only a 15-minute-ride away from the Nikola Tesla airport. It is also very near the two biggest cultural and business centers in Belgrade, Sava Center and the Belgrade Arena. 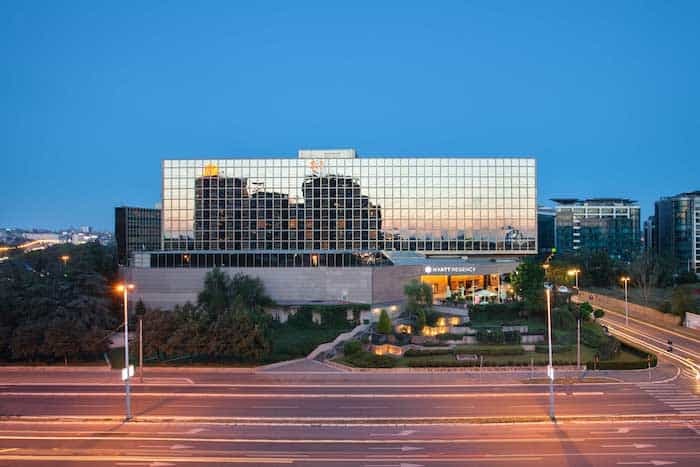 The Hyatt Regency hotels are world-famous for a reason, and the one located in Belgrade is no exception. Besides the luxurious suites, it also has a conference hall and meeting rooms for business meetings. Hyatt is definitely more than just a hotel which offers accommodation. Many other features on the menu will make your stay unforgettable. For instance, there are two first-class restaurants in the hotel complex: Metropolitan Grill and Focaccia, as well as two exclusive lounges: Tea House and The Bar. For those of you who enjoy an indoor pool, as well as sauna, there’s also the Club Olympus fitness center & spa included. You’ll also be able to schedule spa treatments, as well as personalized workout sessions with a trainer. Hyatt Regency Belgrade is located in Milentija Popovica 5. As far as the room choice is concerned, it varies from small regular rooms to enormous luxurious suites, which usually involve personalized service. My final recommendation as far as hotels are concerned would have to be Holiday Inn Belgrade. Since it is a 4-star hotel, it doesn’t belong to the upper-class 5-star luxurious category I’ve previously mentioned, but it is certainly worth mentioning. While being on a more affordable side, it still doesn’t lack the luxury and comfort you want in a hotel. Its location could be one of its biggest advantages, since it is 10km (about 6 miles) away from the Nikola Tesla airport, and only 4km (about 3 miles) away from the city center. The hotel complex includes the Singidunum restaurant, as well as the Buzz bar. In addition, the hotel is directly connected to the enormous Belexpocentar venue, besides having 7 conference halls. The luxurious spa center offers a fully-equipped gym, relaxation room, sauna, hot tub, and a Turkish bath. Beautiful Kalemegdan fortress in Dorcol – one of the famous neighborhoods in Belgrade. The whole team enjoyed spending after work hours overlooking Danube and Sava rivers. While booking a hotel room may be the most appealing option, it certainly isn’t the most affordable one, especially if you’re thinking of staying in Belgrade for a while. In this case, renting an apartment is probably the best idea. Obviously, depending on the neighborhood, the rent prices may vary. The most popular neighborhoods which offer the best location are definitely Dorcol and Vracar. 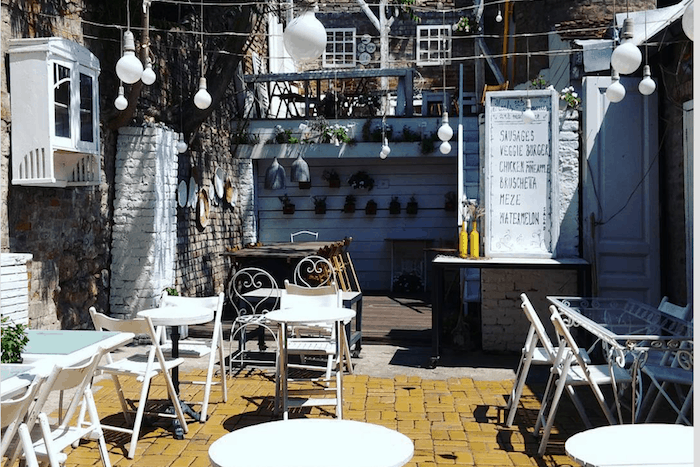 You’ll find that most of the locals recommend these as the best Belgrade neighborhoods, especially for the newcomers. Dorcol is considered one of the up-class Belgrade neighborhoods. It has a rich history, and it is best described as a blend of both modern influence, and the unique bohemian, old-Belgrade vibe. 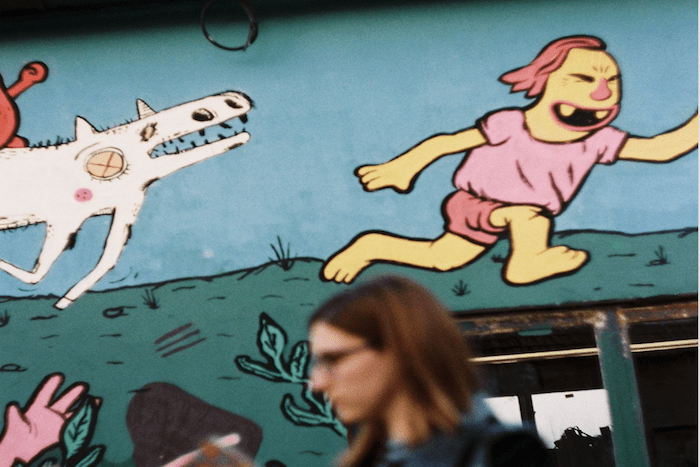 Speaking of the bohemian vibe in Dorcol, I must briefly mention Skadarlija, the famous Belgrade bohemian quarter, which I’ll be talking about in-depth in other sections. Dorcol also offers a great number of restaurants and cafes, which are some of the best the city has to offer. Even if you don’t choose an apartment in this neighborhood, I’m sure you’ll find yourself visiting it quite often during your stay. As for Vracar, it is the home to St. Sava Temple, the largest Orthodox Christian temple in the Balkans, and one of the largest Orthodox churches in the entire world. 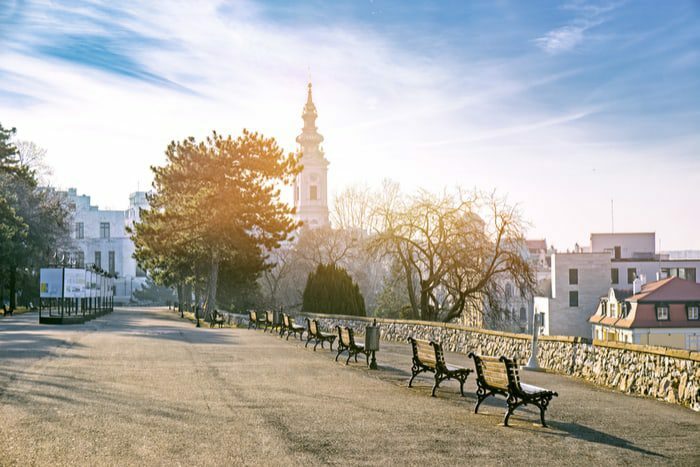 Vracar is definitely one of the neighborhoods you’ll love calling your home, even for a few months. If you choose Novi Beograd, or Usce, you’ll be located a bit further from the city center. However, these neighborhoods still have a lot to offer. Novi Beograd is the home to numerous exclusive hotels, one of which I’ve previously mentioned. On the other hand, Usce has one of the biggest shopping malls in Serbia. 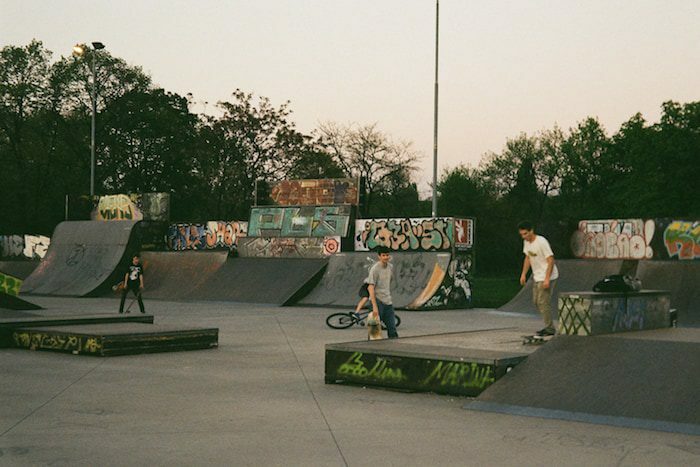 Skate Park afternoons in Kobazz, Usce. Renting a place in Belgrade can be quite affordable, especially in comparison to the hotels I’ve previously written about. In fact, it is possible to find a single bedroom apartment starting from approximately $176 (150 euros). Obviously, depending on the location, as well as the quality and quantity of the furniture in the apartment and other relevant factors, you may come across different pricing. When renting an apartment, I recommend discussing the utilities with the landlord. Sometimes these expenses can be a lot higher than what you’d expect for a small single bedroom apartment. In case you prefer a bigger place, or you’re planning on sharing it with a roommate, you may want to look into two bedroom apartments. As for the two bedroom apartments, neighborhoods such as Bezanijska Kosa and Novi Beograd seem to offer very low rent prices. On the average, the rent for these apartments in the aforementioned areas is approximately $235 (200 euros). The places at the lowest rent prices usually don’t include much luxury. 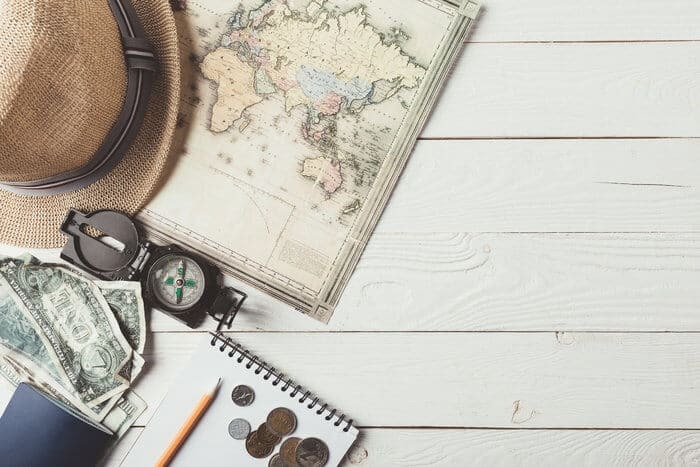 However, if you’re looking to save money, or better yet, spend it on exploring and enjoying the city, you should be on the lookout for these affordable alternatives. Renting a room through numerous renting agencies and services may get a bit confusing, especially if you’re not familiar with the Serbian concept of renting. Most of the time, it involves a lot of negotiating before you and the landlord get to a satisfactory agreement. If you don’t have enough time or patience to acquire some Serbian negotiating skills, and you simply want a more convenient way to find a place to stay, perhaps you should search for it on AirBnB. For those of you who may not know a lot about this website, it is an online service which helps you find an adequate apartment. It offers a wide range of accommodation options to choose from. What makes it superior to other services is that it is extremely easy to use. AirBnB offers the possibility of having the place all to yourself, having a separate room while sharing some common spaces, and finally – staying in a shared space. As you can already guess, the shared space comes at the lowest price. The average price of the first option, which is having the entire space to yourself, is $43 per night on the average. Having a private room while having to share certain common spaces costs around $33 a night. And finally, you’ll pay around $20 per night if you decide to stay in a common room. As a team, we strongly believe in the efficiency of co-working places. What makes this kind of working environment special is the fact that you don’t even feel like you’re going to work. As a matter of fact, it doesn’t even resemble an actual office which would make you feel tired or uninspired. As a matter of fact, a co-working place is a space where all the co-workers get to share their thoughts, ideas, and concerns within the team. It gives us a sense of freedom and reliability, since there’s a possibility of helping others grow, while improving your own skills, as well. 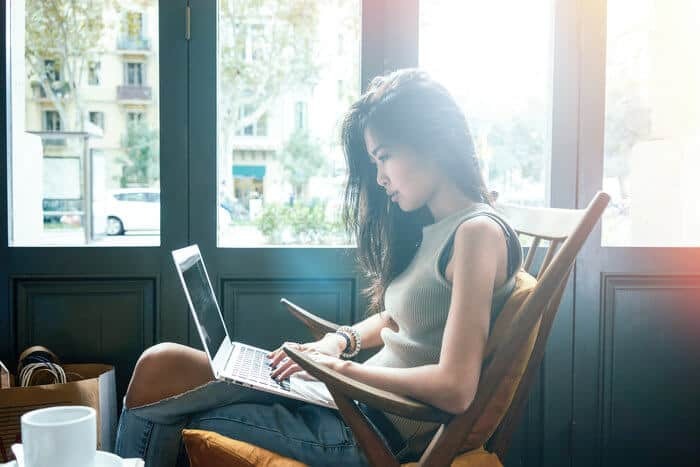 In place of feeling alone and isolated in your apartment, you’ll probably feel much more comfortable in this kind of setting. When in Belgrade, my team and I tend to gravitate towards the Smart Office co-working space. 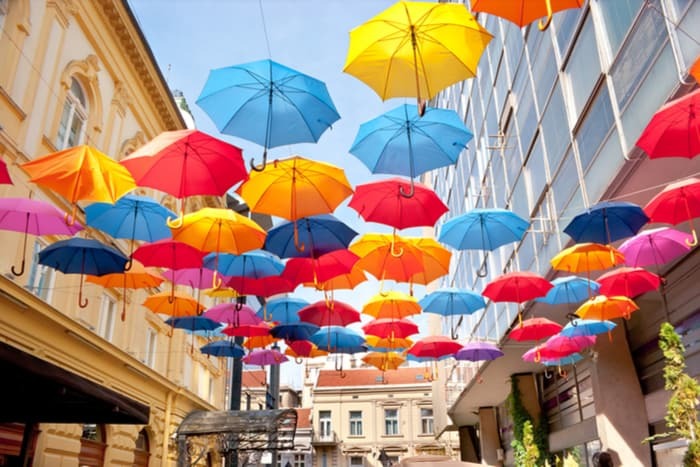 Located in Knez Mihailova, which is the very heart of the city, it is extremely easy to find. Also, the overall atmosphere in this office is what motivates us go back to it every single time. A day of working in this place is going to cost you €15. However, if you intend on coming here for more than 10 days, you may want to consider a month pass, which is only €150. If you just want to try it for one day and see if it’s the right fit for you, I’ve got some good news: you get one day for free. The average download speed is 14.81Mbps. Given the average download speed of 12.3Mbps in Belgrade, you’re definitely getting your money’s worth. 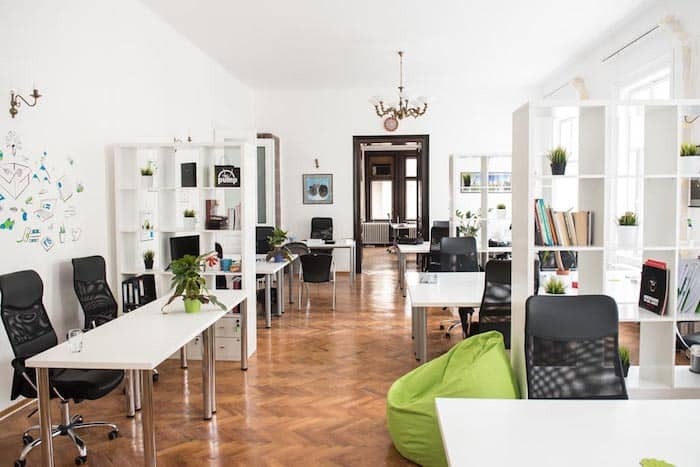 Another co-working location worth mentioning is definitely the In Centar. What makes it stand out among the other co-working spots is the most affordable deal. A single day is only you €10, whereas a monthly pass costs €130. The download speed in this co-working office is 21.30Mbps. Right off the bat, you’ll probably decide to discard this option if you’re interested in more affordable deals. 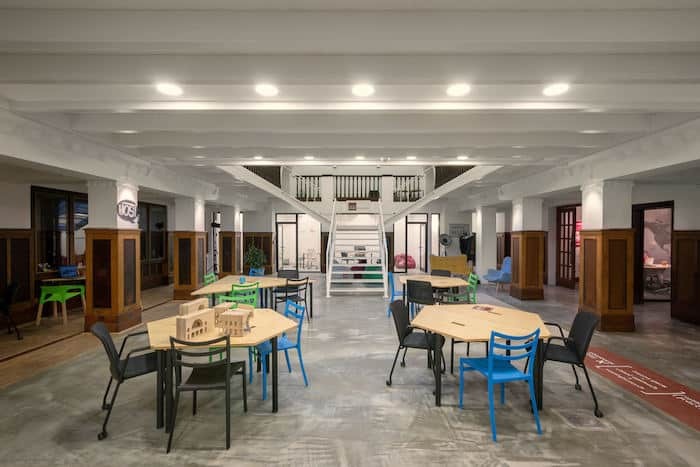 Impact Hub definitely has everything you could possibly want in a co-working office. It is spacious, always open for new members, and it even has its own conference rooms. However, it is definitely the priciest option you’ll come across in Belgrade. In order to sign up for their basic membership, you will have to pay for at least 3 months in advance. Besides this requirement, you’ll also have to add the 20% VAT, which is something you won’t experience with other co-working offices. As far as the Internet speed is concerned, this place offers the average download speed of 15.43Mbps. 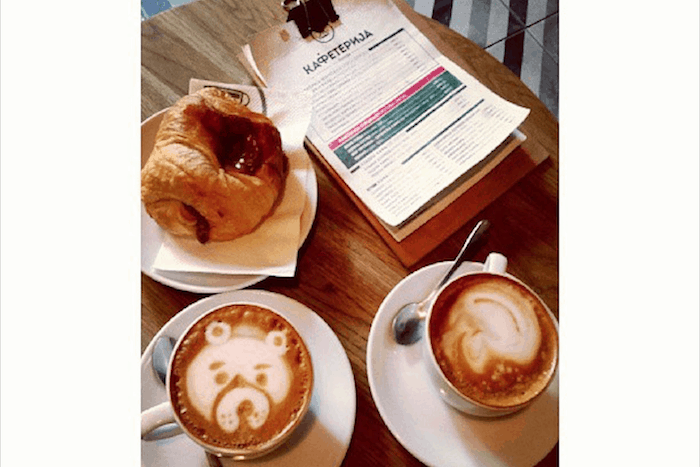 One thing you should keep in mind if you intend on working in cafes is that the people tend to get really loud. The policy of keeping your conversation quiet doesn’t really affect Serbian people. While this is something you’ll probably learn to love about them, you may not appreciate it while you’re trying to work. Another disadvantage of this kind of working environment could be that smoking allowance isn’t properly regulated in Serbia. In most of the cafes, you’ll find that there’s no separate section for the smokers. If you’re not a smoker yourself, this could be an issue. Other than that, I personally love coming to Serbian cafes, not only to work, but for good, cheap coffee, too. One of my personal favorites is definitely Aviator. Whenever I’m not in Smart Office, I’ll come here to work, or even just to relax with my colleagues. What I love about it is the captivating interior and a specific ambient. Located in Gundulicev Venac 59a, it is a place I’d recommend both for working and enjoying a coffee after a long work day with your friends. In addition, it has a great WiFi connection and the AC, which makes it suitable for working. Also, the fact that it has the best coffee in town is yet another reason to love this place. Speaking of the best coffee in town, if I had to pick a close second, it would have to be Kafeterija. Besides the actual coffee, it also offers a gorgeous ambient which could definitely serve as a place of work and relaxation. The WiFi is good, there’s also an AC, and it’s located in Dorcol – all valid reasons to give it a shot. Both of these cafes have been my favorites to come to, whether I have a lot of work to get done, or I wish to rest from all the work I’ve finished. I believe this is what you’ve been waiting for the entire post, which is why I’ve purposely left it for the very end. All the previous things may or may not have been particularly exciting, but I know for a fact that you’re going to enjoy this aspect of your Belgrade visit. Serbia is known to have a very unique, world-famous kitchen. Even if you decide to completely ignore their food (which I predict to be impossible), you’ll still be able to find a lot of Italian, French, Chinese, Japanese, and other international dishes on the restaurant menu. What you’ll notice during your stay is that Serbs are hedonists in every sense of the word. They simply can’t imagine a single day without a good meal. Even if you didn’t care about food before, you’re bound to give into the guilty pleasures while in Belgrade. As much as they love to eat, you’ll notice that they love to drink twice as much. In Belgrade, you’ll be able to try some of the finest beers, domestic wine, as well as the Serbian brand – rakija. Let’s start with the best places to get good Serbian food, since I assume you won’t be leaving Belgrade without trying some of their traditional dishes. 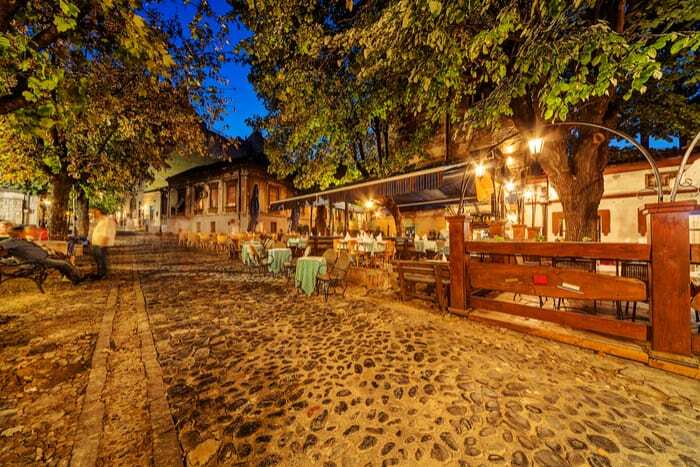 Some of the best traditional restaurants in town can be found in Skadarlija – Belgrade’s very own bohemian borough. Located in Dorcol, it is what of the most monumental areas of Belgrade, due to its rich history. Kafanas (Serbian traditional bars) in Skadarlija were Belgrade’s cultural and social centers for years. This is precisely where all the prominent Serbian actors, musicians, and other artists would gather to enjoy traditional music, great food, and each other’s tales. The word has it that some of them were inspired to create their masterpieces while enjoying the atmosphere of a kafana. Although the bohemian lifestyle seems to have seized, Skadarlija has managed to preserve the unique spirit of the golden years. One of the oldest restaurants in this area which has become the symbol of Skadarlija is Tri Sesira. Whenever we’re craving traditional Serbian food, we’ll head to this beautiful restaurant. This is one of the original restaurants in this bohemian area which cherishes the good old Skadarlija spirit. In Tri Sesira, you’ll be able to try most of the famous Serbian dishes, including desserts. 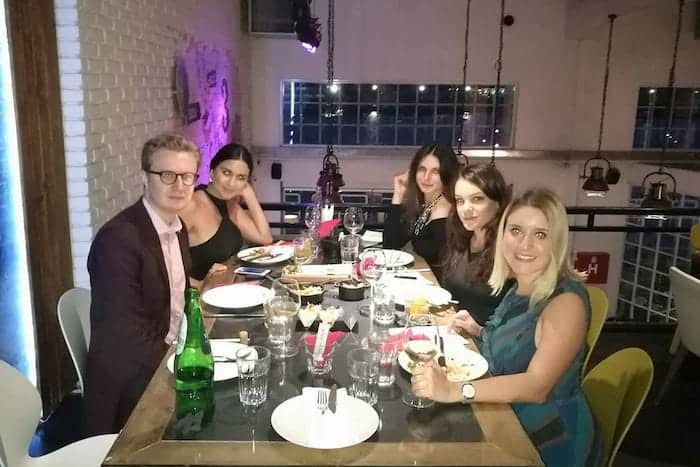 Speaking of tradition, kafana Znak Pitanja is the oldest kafana in Belgrade, and yet another place in Belgrade my team and I thoroughly enjoy. It is almost 200 years old, and it represents one of the cultural monuments of the city. Close to our co-working space, W Sushi is one of our first picks in the lunchtime. Located in Andre Nikolica 2, it offers a great variety of sushi, fish and sea food. This is a great way to make a break from the strong flavors of Serbian cuisine. Epigenia Wine & Tapas bar offers a great menu, but most importantly, an extensive wine card. Here you’ll be able to taste some of the premium house wine, as well as some international ones. 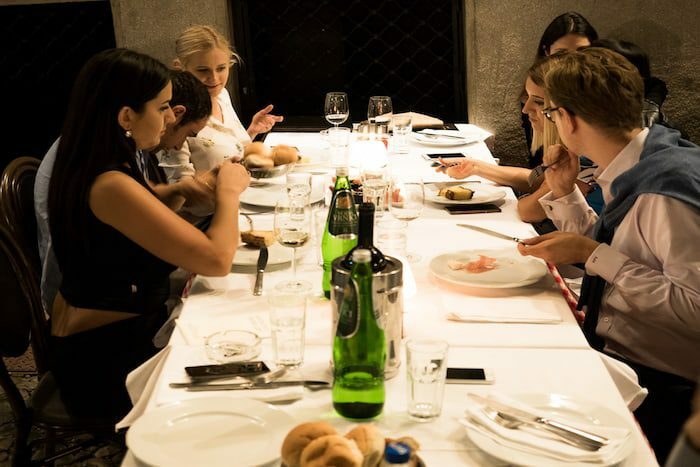 If we want to have a nice team dinner by the river with an amazing view where we can enjoy the sunset, we always end up in either Cantina de Frida or TORO Latin GastroBar. Whenever I’m in the mood for a relaxing jazz night and a couple of drinks with my friends, I have my mind made up. Jazz Garden has got to be one of my favorite places to enjoy some quality music and a glass of wine. Yet another jazz place, Azbuka is the ultimate source of relaxation that you’ll find yourself coming back to over and over again. Smokvica is a bar you’ll find on a couple of locations, including Kralja Petra, Ada, and Molerova. 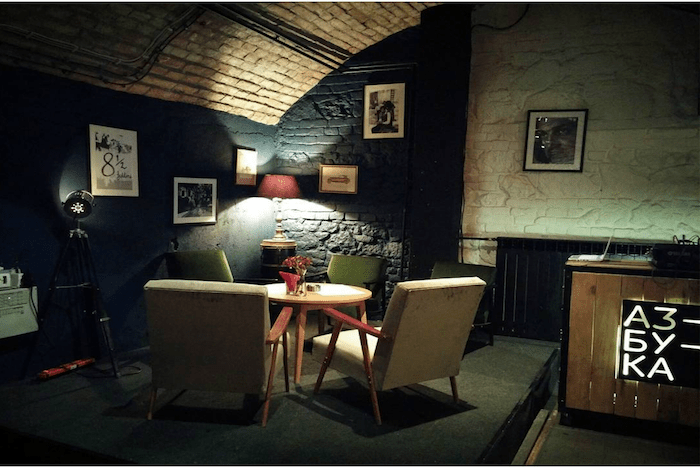 It is one of Belgrade’s ultimate chill-out bars with great food. Also, the menu incorporates some vegan and vegetarian options. 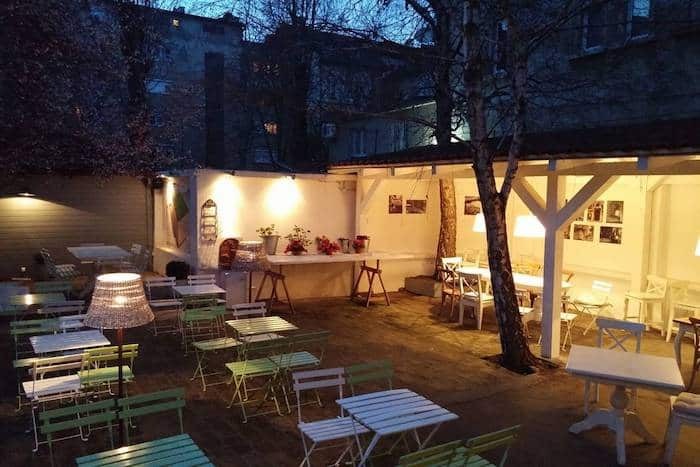 Boho Bar on Kalemegdan fortress is without a doubt one of the city’s most popular hotspots. Inspired by the boho style, it has an oriental note which is atypical for Serbia, but still quite refreshing. If you’re a wine lover like myself, and you appreciate a glass of quality wine, you shouldn’t miss the opportunity to pay a visit to Cantina del Vino. Just like the name implies, it offers a wide range of wine, including the domestic ones you must try. Although the focus is on great wine, you won’t be leaving this place with an empty stomach. As bohemian capital of former Yugoslavia, Belgrade is the place to be on Balkans when it comes to nightlife. An important piece of information which I believe will save you a lot of trouble when in Belgrade is to make reservations in the nightclubs beforehand. Otherwise, if you show up “unannounced”, they may not have any tables or booths left for you. Belgrade is known for its nightlife not only in Europe, but all over the world. It is precisely the reason many people decide to visit it in the first place. To say that Belgrade has a vivid nightlife would be an understatement. It may be a bit hectic for some people, but there are definitely a lot of places to choose from. Depending on what kind of music you prefer, there’s a variety of clubs where you can get your party on. Freestyler is one of the most visited night clubs in Belgrade. While in Belgrade, you’ll often hear the term splavovi which are nightclubs located on rafts. 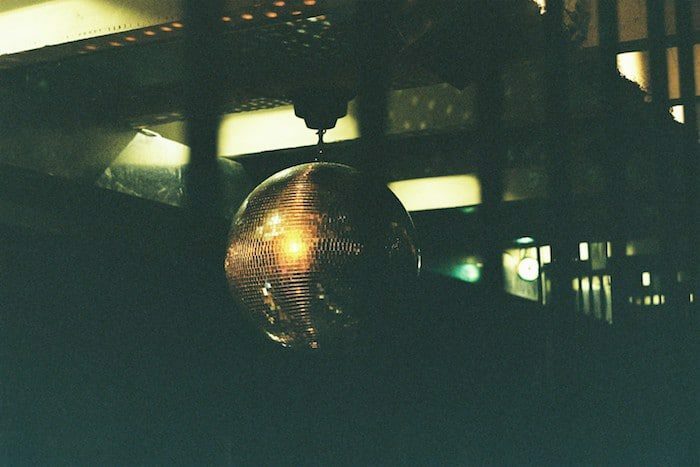 If you want to experience the essence of the Belgrade nightlife, Freestyler is a must. River is yet another splav where you can listen to many Serbian artists performing live. However, this is an option for those of you who’d enjoy Serbian mainstream folk music. 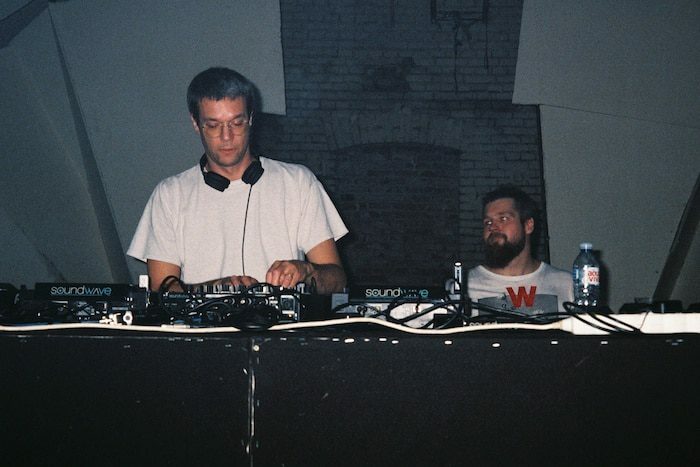 If you are more for electronic and techno night out, Belgrade is a place where you can expect to find a lot of underground clubs with famous and local DJ’s. I would recommend to check out Drugstore and don’t forget your dancing shoes and glitter outfits. While on the topic of Serbian mainstream music, Teatro bar is another location where you can listen to bands playing live. In case you tend to gravitate towards pop-rock, you should check out Sindikat, one of Belgrade’s top nightclubs. Mr. Stefan Braun is where you should head to for some hip hop, RnB, house, and old-school 90’s Serbian beats. Besides the jazz bars I’ve mentioned before, for some quality jazz I recommend the jazz blub Cekaonica. If you happen to be in Belgrade mid-August, the annual Belgrade Beer Fest is a festival you shouldn’t miss. Being one of the biggest beer festivals in Europe, it belongs to the Belgrade tradition. Besides a variety of beers, you can also enjoy some amazing concerts. There are many more things you can do in Belgrade that don’t necessarily include partying, or dining & wining. If I know anything for sure, it is that you won’t have a single dull moment in this city. Ada Ciganlija is one of the city’s biggest attractions, often referred to as the Belgrade’s Sea. There’s an adapted swimming area, as well as numerous cafes and restaurants. It is particularly crowded during the summer time, since there are many water sports you can indulge in. Make sure to dedicate at least one day to exploring and sight-seeing. Visit Kalemegdan, St. Sava’s Temple, or go shopping in Knez Mihailova and Usce shopping center. If you’re interested in Serbian history, as well as the history of the entire region, I think you’d enjoy a visit to the Museum of Yugoslav history. Besides the restaurants and bars near the river, the best way to explore the beauty of Danube and Sava is to go on a cruise boat, especially if you’re here in the summertime. 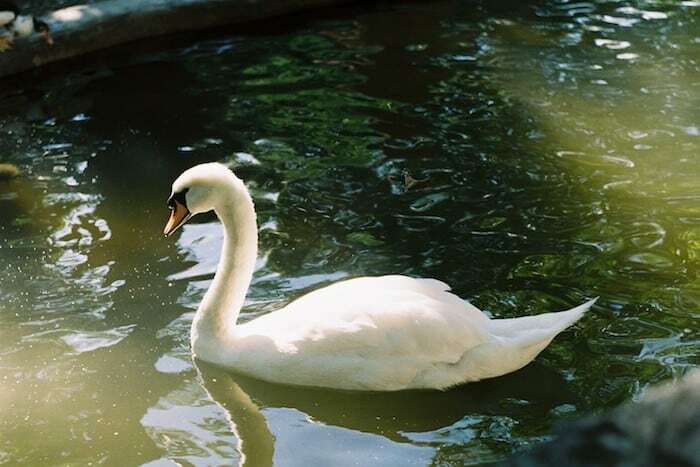 One of the biggest Zoo’s on this part of Europe is in the heart of Belgrade, right next to the famous Kalemegdan fortress. I know you may have spoken to people who have mixed feelings about Serbia. However, the propaganda doesn’t come even close to the realistic picture. Belgrade is not only Serbia’s capital, but the best place to experience Serbia in all aspects. 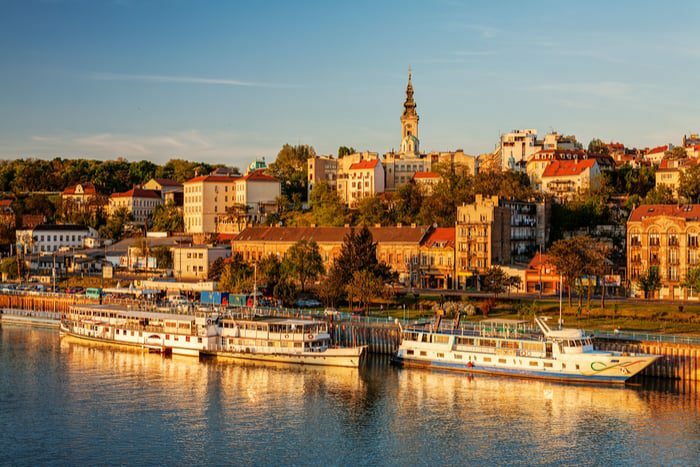 Therefore, if you’ve been thinking of your next European destination, you should consider giving Belgrade a shot. Speaking from my personal experience, I have found Belgrade to be absolutely mesmerizing, and my teammates couldn’t agree more. The people are friendly, welcoming, and eager to meet foreigners and show them around. You’ll also fall in love with the culture and the unique tradition that you won’t experience anywhere else in the world. The food is amazing, and although you may gain a few pounds, I’m sure you’ll be dreaming of it when you leave. 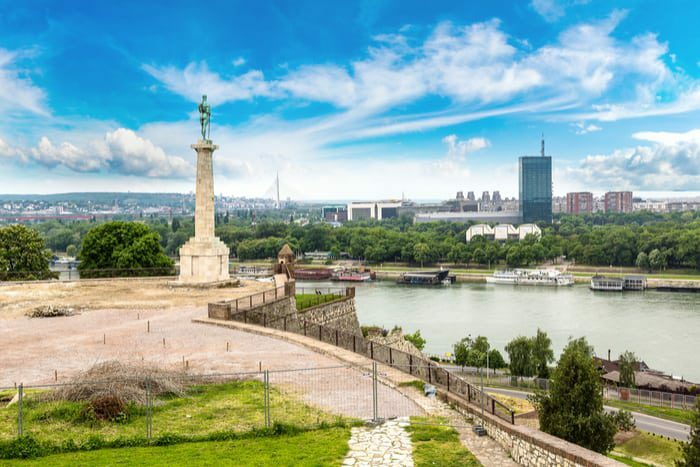 Finally, Belgrade is one of the most affordable cities in Europe, which means that you’ll be able to truly enjoy your stay, visit restaurants, experience the nightclubs, and not spend all your savings. It is time for you to experience Belgrade first hand and find out what is it that makes people come back over and over again. Marija is an SEO and PR consultant based in Bali. She enjoys traveling throughout Asia with an old-school camera and living the minimalist lifestyle. How to get citizenship or residency of serbia for a family of 4 persons. Kids need engliah school! What decent income needed to settle there? How far safe for a muslim family? Business opportunities are attractive? Have you also applied your flag theory to women? From the picture, it seems you have diversified in that area as well.